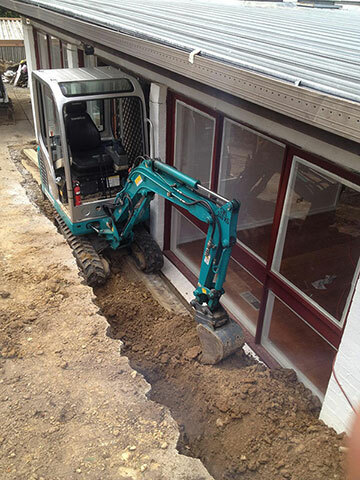 All our small excavators for hire across Adelaide and Melbourne come with a certified operator. The Mini Excavator is ideally suited for work in a confined place, such as in urban construction work, gardening, pipe-laying and many other jobs. The Mini Excavator can get into tight access spots with 900mm or more clearance, making it great for big jobs with tight access. The Mini Excavator has a drill attachment for all hole digging. Get precise and fast pool and spa excavation with the Mini Excavator. This machine is ideal for footing excavation in tight spots. 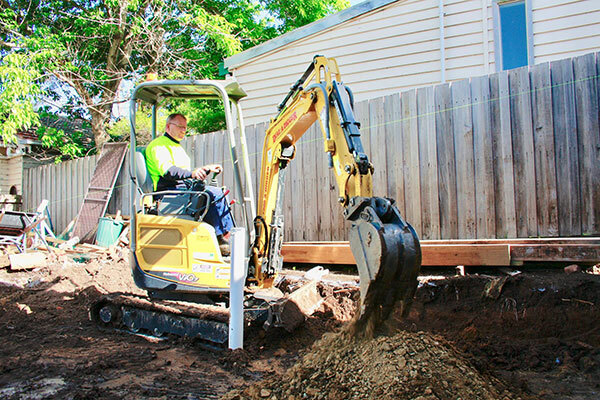 Dial A Digger operators are highly trained and qualified plumbing and electrical trench diggers with skills and experience to do a safe and precise job every time. Get rocks and concrete broken fast with the Mini Excavator, it makes short work of the tough stuff. Mini Excavators are perfect for big jobs on small sites, get Dial A Digger on the job now. When you need a Mini Excavator call Dial A Digger, our operators are the best in the business and can assist with any scale of project with these versatile machines. We services areas such as Werribee, Dandenong, Brighton, Seaford, Munno Para, Tea Tree Gully and beyond.